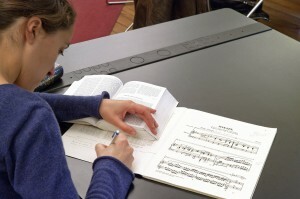 The music creation department carries one of the fundamental missions of the CNSMD Lyon and is structured around five classes, divided into three major areas. 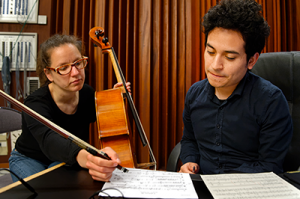 Contemporary composition at CNSMD Lyon covers a wide range of artistic practices in which each student can adopt his own path, from instrumental and vocal writing to electroacoustic creation, through all forms of mixed music. The composing class for the image of CNSMD Lyon, a pioneer in the field, was created in 2004 by Patrick Millet. She trains talented young composers for the professions of image, sound or mute cinema, advertising, television programs, animation and the world of multimedia. 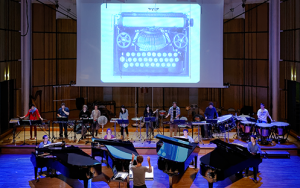 The CNSMD Lyon’s writing and composition course is open to the world and to contemporary music, with no exclusive spirit, allowing students to freely choose their influences and to harmonize them in a personal synthesis. This training offers an innovative approach to learning music writing, devoting itself directly to instrumental and vocal writing, rather than going through historical styles.